The Bill & Melinda Gates Foundation is known for its focus on the developing world's biggest health problems, including malaria, HIV/AIDS, and tuberculosis. As part of this work, the foundation is also known for its big investments in biomedical research and keen interest in new developments in this field. Recently, for example, Bill Gates has been speaking out on the upsides of the CRISPR gene editing tool, including in an article in Foreign Affairs, where he wrote about CRISPR's potential to aid progress against malaria and other diseases, as well as food shortages, malnutrition and poverty. On the other hand, Gates has also drawn attention to the ominous threat of a major pandemic—including one potentially caused by a man-made bioweapon—and urged greater preparedness. Related to that, the Gates Foundation has been thinking for a while now about drug-resistant superbugs. It shares the fear of many experts that the rise of antibiotic-resistant bacteria poses a profound threat, both by jeopardizing the everyday workings of health systems and by increasing the risks of an unstoppable pandemic. In 2016, it opened a Grand Challenge competition on antimicrobial resistance, specifically focusing on creating better tracking data. Among its earlier efforts was bankrolling a push by Resources for the Future to reduce the overuse of antibiotics in developing countries. More recently, the foundation gave $25 million to a Boston University research accelerator that's working to develop new antibacterial drugs and ensure that biomedicine isn't outflanked by superbugs. The U.K. government announced its support at the same time. The accelerator, called Combating Antibiotic Resistant Bacteria Biopharmaceutical Accelerator (CARB-X) has raised more than $500 million since its launch in 2016 by the U.S. Department of Health and Human Services and the National Institutes of Health. The Wellcome Trust—the world's biggest foundation focused solely on health—has also supported the effort, making a £125 million commitment ($155.5 million) to CARB-X in 2017. New drugs, diagnostics and preventative measures, such as vaccines, are essential to address the rise and spread of superbugs. Through CARB-X funding and support, we are advancing exciting developments in early research projects around the world to find new ways to treat and protect people from drug-resistant infections. The funding announced today from U.K. government and the Bill & Melinda Gates Foundation is a significant boost which we are very pleased to welcome to this partnership. 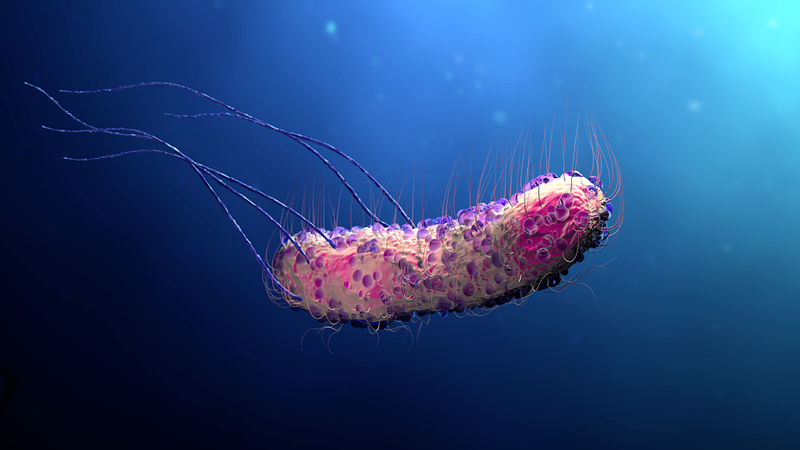 The involvement of the U.K. government, which committed about $27 million over the next three years to CARB-X, underscores the global threat posed by superbugs. This is a challenge with implications for all the world's countries, rich and poor alike. CARB-X is pursuing 33 projects across seven countries, and is itself awarding millions in grants to biotech companies working on the problem. It's important to stress that the rise of antibiotic-resistant bacteria is not some theoretical threat that lies far off in the future. It's already here. The CDC says "nightmare bacteria"—a predictable but unwelcome outcome of the long-term use of antibiotics that's essentially a breeding program for stronger germs—are spreading throughout the United States, causing an estimated 23,000 deaths annually. So far, they have mostly sickened people in hospitals and nursing homes who have IVs and tubes that serve as conduits for infection. But they can affect anyone of any age. Currently, the infections are virtually untreatable, with a death rate of about 50 percent, and they can easily spread through a hospital or other healthcare facility. The World Health Organization says that antimicrobial resistance "threatens the effective prevention and treatment of an ever-increasing range of infections caused by bacteria, parasites, viruses and fungi." While a recent government study singled out the spread of a particular form of bacteria—a germ called carbapenem-resistant Enterobacteriaceae—the danger of antibiotic resistance is far greater. The WHO says that various illness-causing bacteria, such as tuberculosis, malaria, HIV, and influenza are developing drug-resistant strains and becoming harder to treat. The negative effects of this problem may not yet equal global threats posed by a single dread disease like malaria, with its estimated 216 million cases and 445,000 deaths just in 2016, but the growing risk of virtually untreatable infections needs to be addressed before they become worse. It's not surprising to see the Gates Foundation on the case here. Meanwhile, both Gates and Wellcome are among a group of powerful funders and country governments that are backing the Coalition for Epidemic Preparedness Innovations (CEPI) to “outsmart epidemics by developing safe and effective vaccines against known infectious disease,” with the goal of rapid deployment to prevent outbreaks from becoming full-blown global health emergencies. Wellcome is providing $100 million in funding over five years to the CEPI. This May Be the Greatest Threat Facing Humanity: What Can Philanthropy Do About It?